Christmas is coming and once all the parties are over and the turkey and ham has been eaten, there is lots of telly-watching to do. I find that during the in-between Christmas and New Years period in our house, there is a monumental amount of binge-watching/eating done once the children are all tucked up in bed. Here are some suggestions of shows i have been loving recently. Currently coming the end of the second season, this a story an extramarital affair between a grieving waitress and a struggling writer. It is set against the backdrop of Montauk and New York and stars Dominic West, Joshua Jackson, Maura Tierney and Ruth Wilson. What is particularly interesting about this show is that each scenario is told from different perspectives. In other words, you see the affair played out from his point of view and then from hers and it’s fascinating to see the differences in the sequence of events depending on who is telling the story. It also leaves you guessing and not knowing exactly what the truth is. The first series started really strong for me and i was glued to it but i started to lose a little interest towards the end of series one, but stick with it because so far season two is excellent. This is not a series but a highly stylised HBO documentary in six parts about the life and deaths of Robert Durst. Robert Durst, who’s he? I hadn’t a clue either as most of us won’t living on this side of the pond. If you decide to watch this, i highly recommend that you don’t google him or look up anything about him in advance. I didn’t research it at all before watching it and it makes the whole series even better as you learn all about Robert for the first time. This a gripping and terrifically made documentary with mass appeal for all adults, if you got older or younger friends and family staying over Christmas this is one to watch as everyone will enjoy. 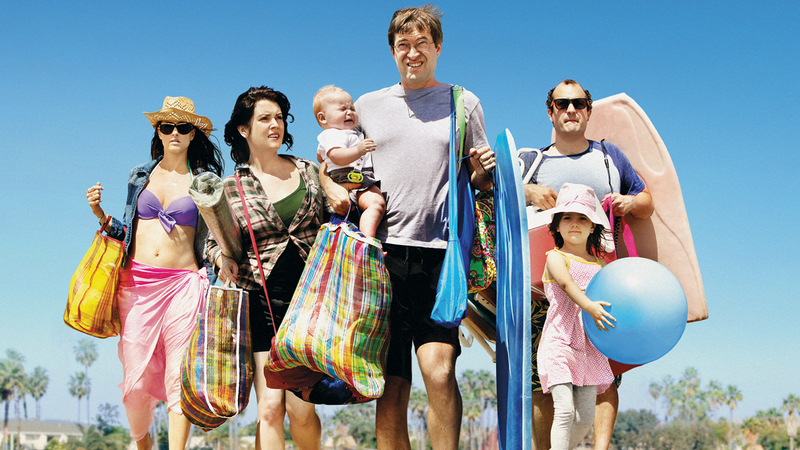 Togetherness is a new sitcom and definitely one to watch i think. There is one season so far with another starting in the States in February. Togetherness is about four adults in their mid -late 30’s who due to unexpected circumstances find themselves living together under one roof in LA. Brett and Michelle are a married couple struggling to adapt their relationship to the pressures of parenthood. Brett’s best friend is Alex is an overweight, out-of-work actor and Michelle’s sister is struggling with getting older and being single. The show explores the ‘ordinary everyday’ in a really funny and relatable way. The writing is excellent and personally for me, Amanda Peet steals the show with her funny and lovable portrayal of Michelle’s sister Tina. Here are some other TV shows i recommend from a previous post http://bit.ly/1JbKJAE . Have you watched any of these shows or have you any other suggestions of things to watch over the Christmas season? Let me know in the comments. Ooh, always on the lookout for new TV shows – making a note of these three!